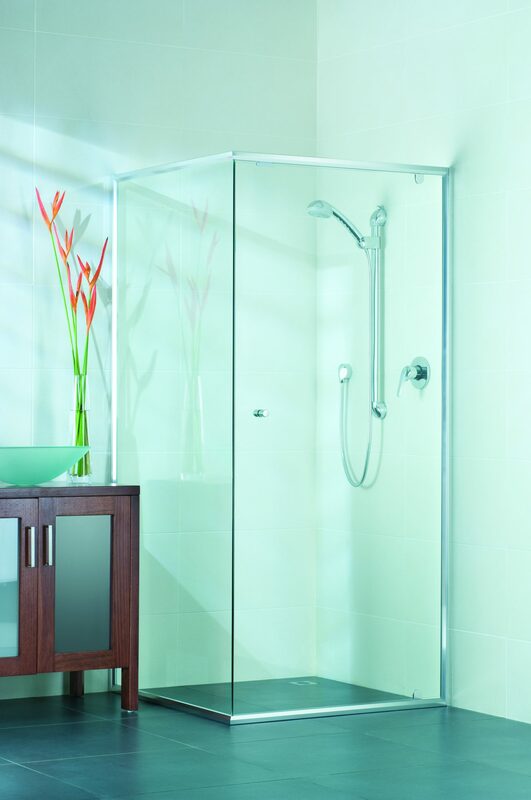 The Evolution semi-frameless shower screen features a chic door and conform to many different bathroom layouts. Pivotech’s made to order screens allow for custom and varied configurations. Evolution combines elegant lines with quality components for a gorgeous bathroom you will love. 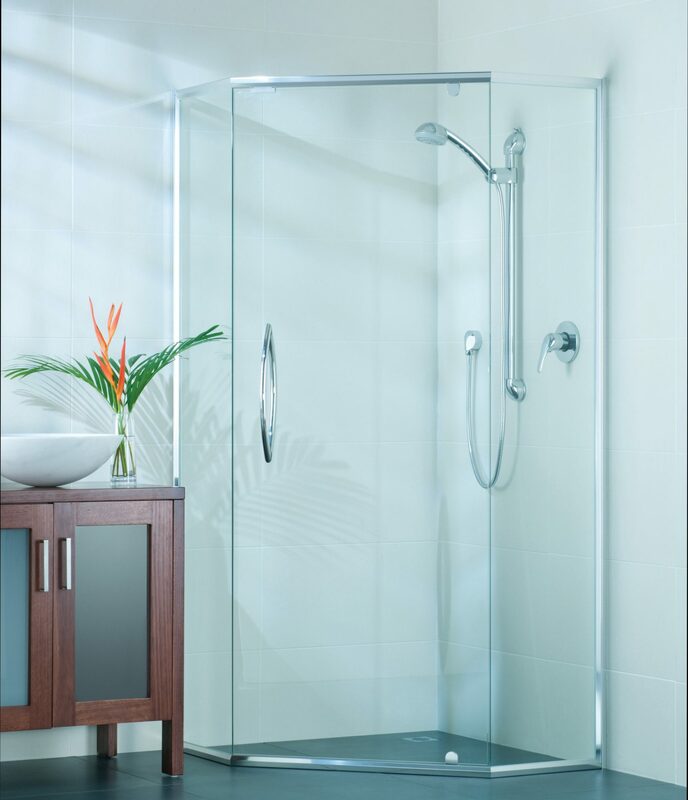 The Evolution semi-frameless shower screen can be mitre cut or square cut, depending on the preferred finished look. 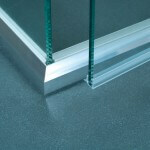 It uses 6mm glazing rubber and takes 6mm toughened glass. 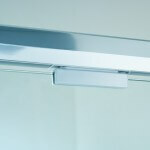 Designed by Pivotech’s product development team, the Evolution is a polished and refined shower enclosure. With an emphasis on performance, Evolution shower enclosures offer the perfect choice for modern main bathrooms and en suites. 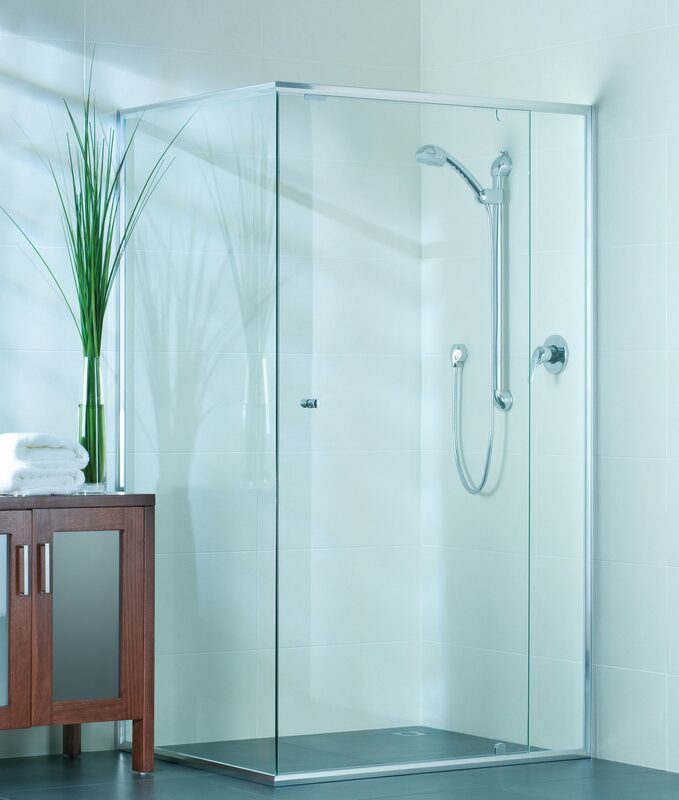 The Evolution series features a semi-frameless shower door for a minimalist, spacious feel. The lovely lines provide a contemporary look and make the enclosure easier to clean. The 45° enclosure better utilises limited bathroom space. This door opening style accommodates the placement of sink and toilet on either side of the shower screen without limiting the door opening. The addition of an infill panel allows the Evolution to expand to suit larger, family bathrooms, while keeping the door at a comfortable size. The semi-frameless door and glass panel feel spacious. High traffic bathroom? No problem. 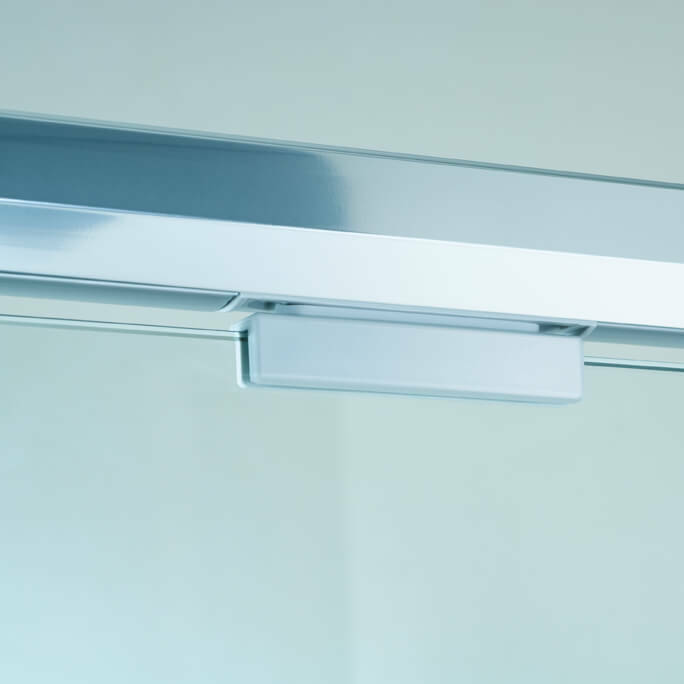 Positive-close magnetic catch ensures the door closes perfectly in-line, every time. These stainless steel hinge pins are designed to give years of trouble-free use. 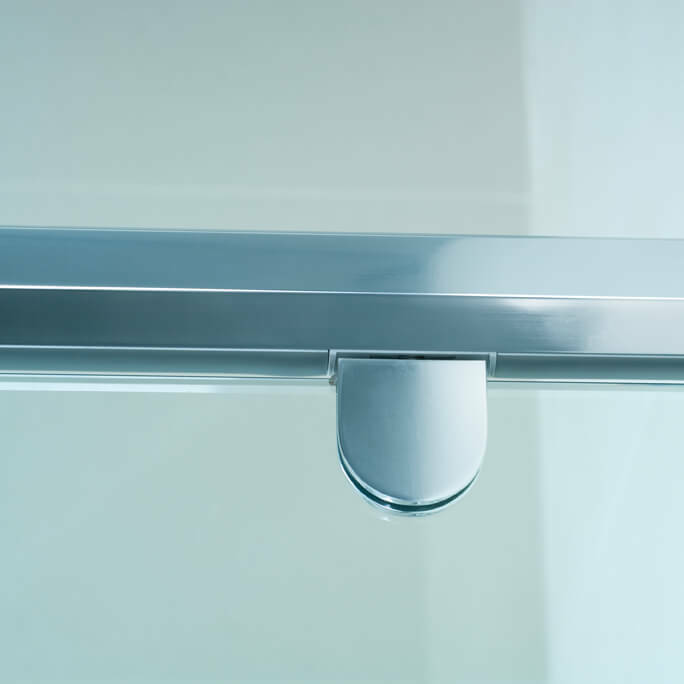 Optional handles offer an even more fashionable look. 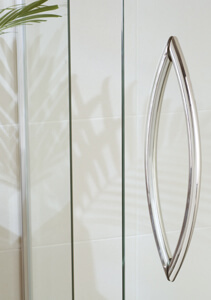 The integrated Evolution design directs water back into the shower area for easier cleaning and a sleek slimline frame.